Some Guidelines for Obtaining the Right Buffet Furniture for Your Home! Have you heard about buffet furniture? There are lots of people who are actually not aware of it. When it comes to buffet, people normally think about the best places in the town where they can dine. However, this kind of furniture is different. This is the kind of furniture that you can place and use in your dining room, when you host a get-together or party. It is the furniture that can help in displaying and serving different drinks and delicacies that you have prepared. When such kind of furniture is placed in your dining area, guests are bound to get impressed with this amazing addition to the house. When it comes to buffet furniture there are lots of things included from your kitchen, dining room and living room which comprises of buffet hutches, cabinets, sideboards, etc. This makes the furniture a beautiful piece and also enhances the décor of your home. Selecting the correct kind of this furniture for your dining room will require you to make considerations like that you do for purchasing furniture for your dining room. When you choose the furniture wisely you will be able to buy the one that will last for long years. At the time, you are searching for this kind of furniture it is crucial for you to consider and measure the space available. One thing you need to know that when the guests get seated there would not be much space for moving around. Hence, you need to ensure that there is lots of space for the people to stand up and assist themselves in serving food. When you have selected the right kind of furniture your guests would not feel very crowded in the dining room. In case, you have followed a particular style for your dining room, you need to consider the same style for the buffet furniture. You can play around with the style but make sure that it complements each other. When you have stylish furniture, you can make the room more interesting. Normally, classic buffet furniture is made out of wood like walnut, cherry, oak, etc. The main reason behind this is that this kind of furniture offers a distinctive look and also a country like feel. In case you opt for antique furniture, then this can prove to be a bit costly. Apart from wood, metal and glass can also be used for making this kind of furniture. Usually, people consider placing this kind of furniture in dining area. 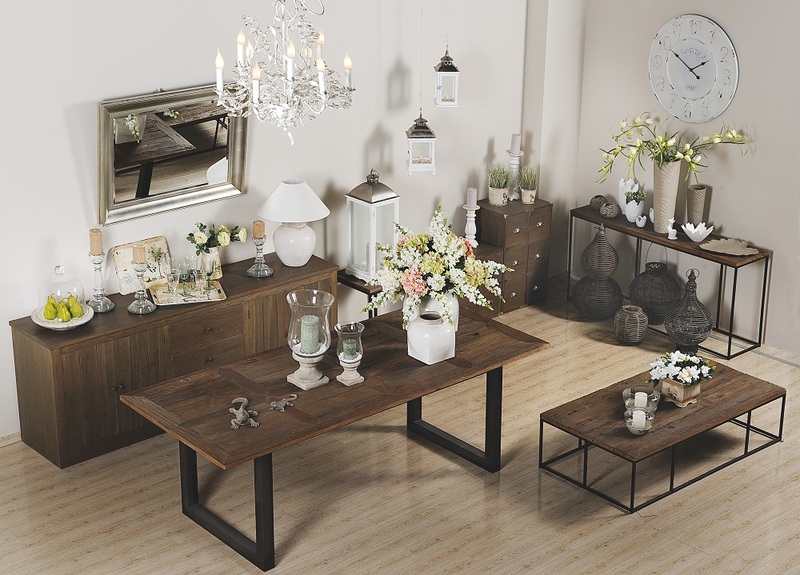 However, in case there is no adequate space in your dining room then you can place this furniture in the living room. Normally, people prefer placing these in the living room for the dry bar and for serving drinks after and before the dinner. Buffet furniture is wonderful and functional. Different kind of furniture has different features. Hence, you can select the one on the basis of your requirements and needs. In case you want to serve dinner then you would like to purchase big buffet table while on the other hand in case you just want to serve drinks then you might like to purchase a small table. These are some of the things that you need to consider at the time of purchasing buffet furniture.